In this week's Brew Trends, we start with part one of a four-part series on cooperative craft brewing. In particular, we'll explore why community is at the heart of a successful co-op business. In this week's Brew Trends, we kick-off with part one of a four-part series on cooperative craft brewing. For brewers already familiar with this business model or those looking to explore new options, read on to discover why this is a trend to watch. Brew Trends: Why Cooperative Craft Brewing? The goal of a cooperative is to help people "meet their common economic, social and cultural needs and aspirations through a jointly owned and democratically controlled business." 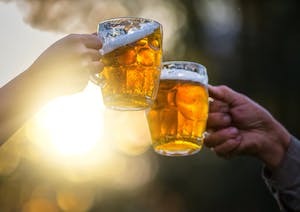 While cooperative ownership isn't a new concept, extending from farming co-ops, retail cooperatives, shared office spaces and cooperative living communities to breweries, the brewing industry is the latest to embrace the trend. As the American craft beer movement celebrates its 40-year anniversary, many new brewers are looking to shake things up by, in brewing at least, employing the relatively new cooperative business model. While the reasons for forming a brewing cooperative are diverse, in part one of this series we'll highlight two of the key reasons: building a community-led business and scaling operations through economies of scale. Crafting a brew that reflects and speaks to your local community is important. For most craft breweries, like Backward Flag in New Jersey, the local community is where business begins. These are your product evangelists and, in an industry that's getting pretty saturated, building a die-hard fan base can be a real lifeline for smaller businesses. That's why the starting point for many prospective breweries considering the cooperative route is the opportunity to share their experience of running a small brewery, not just the brews, with their local community. As more communities start to draw on this business model and share their success, so the trend continues to grow. In the words of Julia Herz, Craft Beer Programs Director for the Brewers Association, cooperatives play to a desire in local communities to build something they can relate to. “96% of breweries nationwide produce fewer than 15,000 barrels per year. The bottom line is today's brewing movement is very locally minded." When it comes to locally-minded cooperatives, brewers can draw on many examples both within and outside the industry for inspiration. For example, though not a beverage brand, Seattle-based retail company REI is a cooperative with strong community credentials. With retail operations now in 35 states, REI has built a veritable outdoor gear empire that's also owned by its customers. Members pay dues in order to receive merchandise discounts along with voting rights and privileges in board member elections, as well as certain company decisions. Key to REI's success is its focus on local, community-driven participation. That model is now inspiring a new raft of craft brewers to follow suit by inviting their local community to build a brewery together. One such is example is Flying Bike Cooperative Brewery, which we'll feature later in Part Two of this series. For brewers looking to boost their local appeal, cooperatives are where it's at. Securing financing and funding is one of the trickiest aspects of running a business. Finding the working capital to invest in equipment, facilities and people can prove challenging for even the most experienced business person. In fact as Entrepreneur puts it: "new craft brewers need to be big enough to finance the marketing, distribution, and sales efforts that will be increasingly critical to survival." These issues don't necessarily get any better as a company grows. As last year’s sale of San Diego's successful Ballast Point Brewery to Constellation Brands Inc shows, the lure of big money can still prove very tempting even when your small brewery has already become a nationwide hit. But here's the good news with the cooperative brewing model. 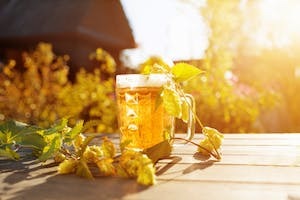 With the average startup costs for small, co-op craft breweries running between $65,000 to $200,000, the figures don't seem nearly as daunting as if 300 people contribute a small amount towards the same goal (for more on that see our small business guide to financing, including crowdfunding) versus trying to secure just one bank loan or financing source. Therein lies the beauty of cooperative craft brewing. Local community is both the heart and the driver behind what gets a cooperative craft brewery off the ground. This is part one of a four-part series focusing on cooperative craft brewing as a brew trend. In the next article in this series, we'll explore how one brewery, Flying Bike Cooperative, uses that business model to grow and by-pass many of the usual hurdles tied to launching a co-op craft brewery. Click here to continue to Part Two of the series. How to find them, what to ask them, and how to ensure you’re getting the best value for your business. Why Has Dry Hopping Become So Popular? Dry hopping has become a popular method of manipulating the flavor and aroma profile of a brew. What is the Role of Malt in the Brewing Process? Malting is a complex, multi-step process that is important for new brewers understand. There are plenty of great reasons to use hop extracts as an alternative to standard hop infusions.